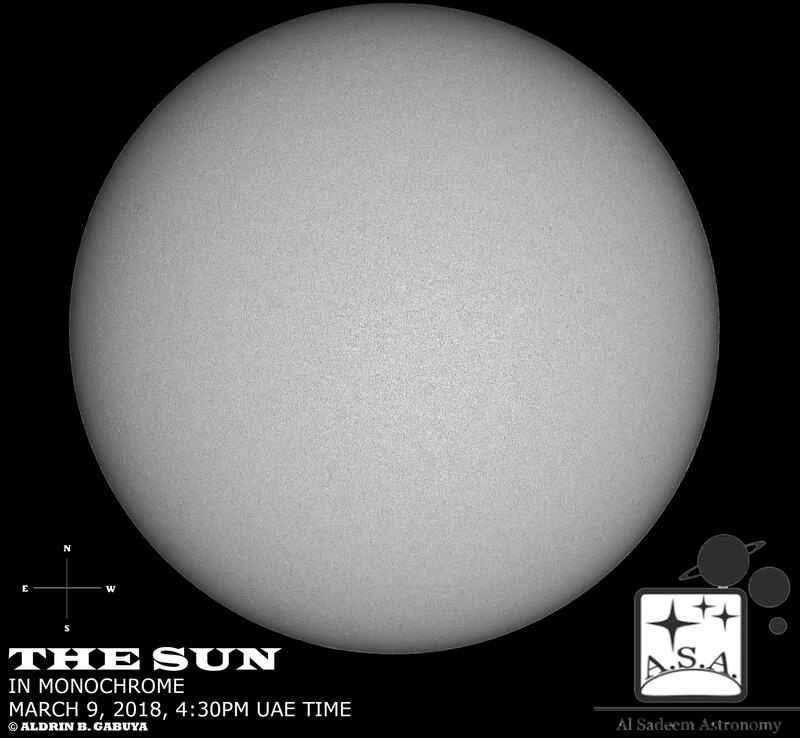 Here are today’s solar images taken from Al Sadeem Observatory, March 9, 2018. The Sun remains spotless and relatively inactive without any solar flare activity recorded over the past 24 hours. 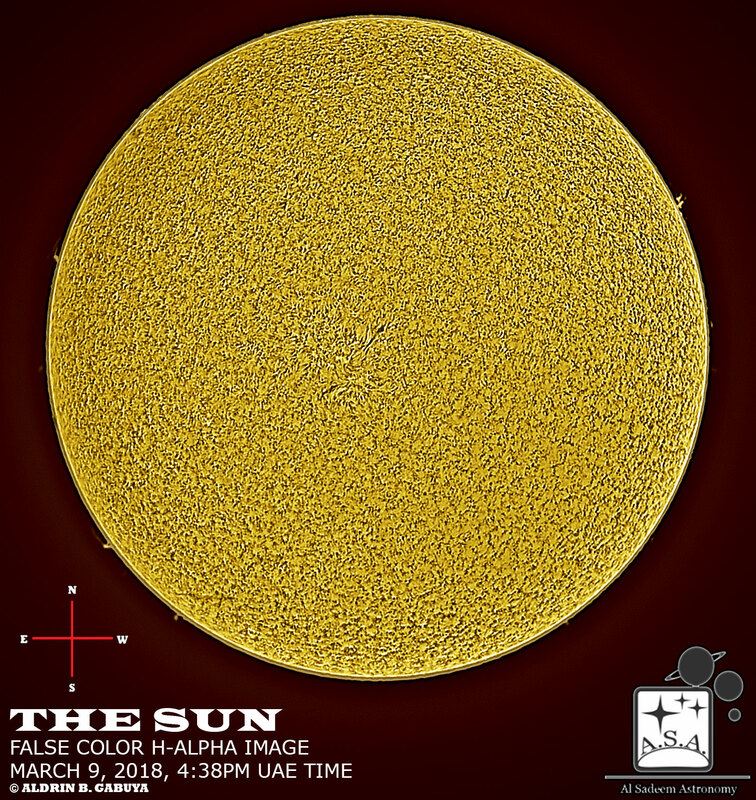 No active sunspot regions currently exist on the Sun’s visible disk. The latest sunspot number (based on visual count and Wolf number calculation) is 0. Nothing much happening the Sun lately except for several tiny filaments at the limbs, and the huge plage region with a filament at the central portion of the Sun’s visible disk as distinctively captured in H-alpha imagery.